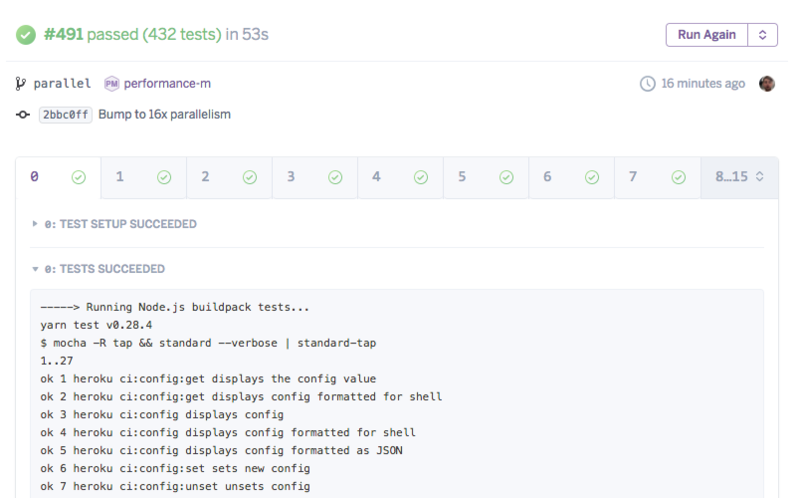 Heroku CI has beta support for splitting test runs across up to 16 test nodes. This allows slow test suites to complete more quickly by dividing them up across many nodes and executing tests in parallel. If you’d like access to this feature, please email heroku-ci-parallel-tests-feedback@salesforce.com. Refer to the documentation for more detail.